"An absolute delight to work with, he is really clever and incredibly personable." "He is exceptionally bright. If you want a significant analytical intellect applied to your case then he's your man." Craig Morrison practises in all areas of Chambers work, with a particular focus on Commercial litigation and arbitration. He regularly appears, led and unled, in the High Court and Court of Appeal. In recent years Craig has been instructed for the successful parties in a number of the most high-profile Commercial Court trials, including Berezovsky v. Abramovich, UBS v. KWL and Libyan Investment Authority v. Societe Generale. He has appeared in a broad range of other commercial matters, including civil fraud, banking, oil & gas, insurance and shipping disputes. 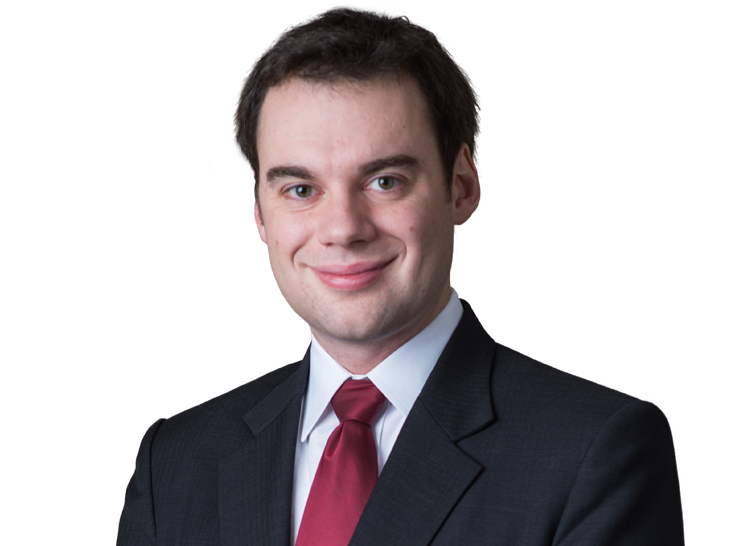 Craig appeared as one of Legal Week’s “Stars at the Bar” in 2016, being described as “one of the outstanding intellects at the junior Bar; he has a remarkable ability to master law and facts and to present them in a clear and persuasive way.” In 2016 he was nominated by Chambers & Partners as Banking Law Junior of the Year. Before coming to the bar Craig studied law at Cambridge University, where he graduated with the top first in his year. He subsequently studied at Harvard University and taught commercial law at Cambridge. Craig practises across the full range of Commercial law, and has acted in a number of recent high-profile disputes. Particular cases and practice areas in which he has acted are set out below. Libyan Investment Authority v. Societe Generale – Craig acted for the LIA in its $1.5 billion claim against SocGen. The LIA sought damages arising out of transactions allegedly procured by fraud and bribery, including via links with the former Gaddafi regime. The case settled on the eve of trial, with SocGen paying a settlement of over $1 billion and apologising to the LIA. Craig was led by Mark Howard QC and Roger Masefield QC. Berezovsky v. Abramovich  EWHC 2463 (Comm) - Craig acted for the successful Defendant in one of the largest claims ever to come before the Commercial Court (with Jonathan Sumption QC, Helen Davies QC and Daniel Jowell QC). Coll v. Floreat Merchant Banking – Craig was instructed by the third party Defendants (unled) for a three week trial, in a £10 million claim arising out of alleged breaches of confidence and breaches of fiduciary duties. Wyndham Heron Limited v. ManRoland Great Britain Limited – Craig acts (unled) for the Defendant in a £15 million claim arising out of a major fire at a printing press. FBS Limited v. FBS Lease Finance US – Craig acted for the successful Claimants in a short-notice application for a mandatory injunction seeking specific performance (with Tom Adam QC), and successfully represented the Claimants (unled) in the subsequent summary judgment application before Popplewell J.
Arsanovia Ltd v. Cruz City 1 Mauritius Holdings  2 All ER (Comm) 1;  1 Lloyd’s Rep 235 – Craig acted for the Claimants in a successful application to overturn an arbitration award, based upon the application of Indian law (with Jonathan Hirst QC). He subsequently acted for the same parties in follow-up litigation arising out of the enforcement of the remaining awards, appearing in the High Court ( 2 All ER (Comm) 1137) and Court of Appeal ( EWCA Civ 1512). Fortress Value Recovery Fund I v. Blue Skye Special Opportunities Fund LP – Craig acted for the Defendants in a large-scale claim arising out of the reorganisation of an investment fund. The interlocutory stages of the dispute (in which Craig acted with Tim Lord QC and Mark Hapgood QC) gave rise to several reported decisions including the leading case on the application of the Contracts (Rights of Third Parties) Act 1999 to arbitration clauses ( EWCA Civ 367;  1 Lloyd’s Rep 606). Invista Real Estate Management Ltd v. Clerical Medical Investment Group Ltd – Craig acted for the counterclaiming Defendants in a dispute arising out of a set of investment management agreements (with Simon Salzedo QC). Craig has been instructed in a number of oil and gas disputes, including disputes regarding repairs to onshore facilities and claims for urgent injunctive relief arising out of the safety of offshore platforms. UBS v. Kommunale Wasserwerke Leipzig (KWL)  EWHC 3615 (Comm) and  EWCA Civ 1567 – Craig acted for the successful Defendant, at trial and on appeal, in a widely reported $350M structured finance dispute involving the Leipzig Water Company (with Tim Lord QC and Simon Salzedo QC). KWL obtained rescission of multiple complex interest rate derivatives, following a 13 week trial, on the basis that they had been procured by corrupt intermediaries. This result was upheld in 2017 following a three week appeal. Administrators of Lehman Brothers International (Europe) v. Goldman Sachs International – Craig acts for Goldman Sachs in the Waterfall II Application, a claim arising from the collapse of Lehman Brothers which will determine a number of important points of interpretation under the ISDA Master Agreement. Craig acted for Goldman Sachs in both its application to join the proceedings (led by Mark Howard QC) and at the subsequent trial (led by David Foxton QC of Essex Court Chambers). He is now instructed on appeal. Lancashire County Cricket Club v. NatWest – Craig was instructed (unled) by the Lancashire County Cricket Club in a £3.5 million claim against NatWest, arising out of the mis-selling of derivatives. Taberna Europe CDO II Plc v. Selskabet AF 1  EWCA Civ 1262 – Craig acted for Taberna on appeal in a leading case on the application of the Misrepresentation Act 1967, determining whether the Act applied to sales of debt in the secondary market (with Tim Lord QC). ICAP Plc v. WestLB AG – Craig was instructed by ICAP in its USD 4 million claim against WestLB (formerly Westdeutsche Landesbank), arising out of a failure to deliver Venezuelan Oil Warrants, in a case raising important questions of limitation and trading practice in emerging markets (with by David Scannell). McKay and others v. Bank of Scotland Plc and others – Craig assisted the Claimants in a dispute arising out of a substantial number of loan facilities and interest rate derivatives, in the Northern Ireland High Court (with Brian Fee QC and Nick Hanna QC of the Northern Irish bar). Domingos Da Silva Teixeira v. Barclays Bank Plc – Craig acted for the Portuguese Claimants in a claim arising out of the misselling of complex interest rate derivatives (with Tim Lord QC). Kaupthing, Singer & Freidlander v. Kitchin – Craig acted for the counterclaiming Defendant in a claim for misrepresentation and/or negligence arising out of loan facilities provided by the Claimant prior to its insolvency (with David Allison QC of South Square Chambers). Glajz-THG Pte Ltd v. Calleija Ltd – Craig acted for the Defendant in a claim arising from the theft of a number of valuable diamonds, and also advising on the related insurance claim (led by Tom Adam QC). Soho House Ltd v. NIG Ltd – Craig acted for the Claimant in an insurance dispute claiming rectification of an insurance policy and/or damages in negligence against the insured’s broker (with Richard Slade QC). HDI Gerling v. Howden North America Inc  Lloyd’s Rep IR 1 (HC) and  2 CLC 969 (CA) – Craig acted for the Claimants in the English stage of an ongoing cross-border asbestos insurance litigation, in both the High Court and Court of Appeal (with Harry Matovu QC in the High Court and John Lockey QC of Essex Court Chambers in the Court of Appeal). Man Truck & Bus UK Ltd v. Atradius Credit Insurance BV – Craig acted for the Claimants in a claim for coverage under a policy of insurance (with Harry Matovu QC). Craig has also advised in a number of confidential insurance and reinsurance cases, including claims arising out of shipping losses, oil and gas disputes and construction disputes. Craig has acted in a range of shipping disputes that have gone to arbitration, including wet and dry claims and charterparty disputes. These include acting for the Defendants in Cargill International SA v. Afra General Trading, a series of claims arising out of shipments of grain and sugar to Iran, in the High Court and in related arbitration proceedings (with Richard Lord QC).